Lion Lamb Blog -- David Mundy: A Caged Holy Family? and remained there until the death of Herod. We are hearing that many children are being united with their parents after a nationwide protest against the abomination which was the Zero Tolerance immigration policy in the United States. As families arrived at the US border from Central American countries seeking asylum they were treated as criminals and the children were separated from their families and incarcerated. In a horrific example of Orwellian Newspeak members of the Trump administration along with his media shills insisted that the cages the children are kept in aren't cages at all, they are "wire enclosures." Take a look in the dictionary and you'll discover that "wire enclosure" is the definition for a cage. These families have fled their countries in desperation and often with limited understanding of what they might encounter along the way. Their dreams of sanctuary have become a nightmare. The response of Trump's government is heartless. It was gratifying that there was essentially a united response from Christian groups across the country decrying this heartless policy. Even the evangelical Protestant leaders who are in thrall to Trump spoke out. 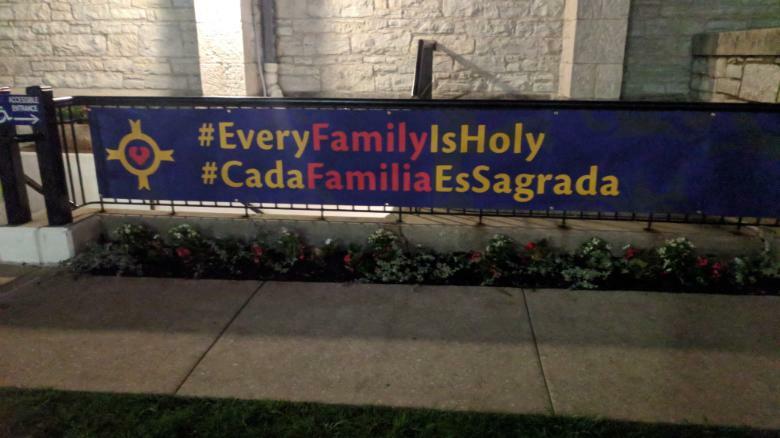 One of the most effective responses ended up on the lawn of a Roman Catholic church in Indianapolis, Indiana. 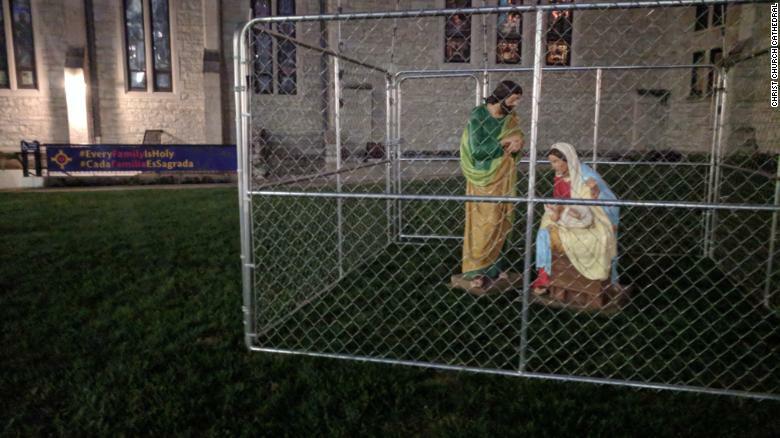 The congregation re-purposed their Nativity scene, placing it within a "wire enclosure" for passersby to see. The result was international attention and likely a hectic couple of weeks of interviews for the parish priest who came up with the idea, the Rev. Canon Lee Curtis. His comment to CNN was "This symbol is something that speaks to every one of us at our most basic level, because of who we are as a church and as Christians.We don't want this message to disappear." The caged Holy Family is brilliant, and it also supports the current slogan for the church which is Every Family is Holy. Well done!